We are using several social networking sites as part of this MyCOE GCE project, listed below, along with links to our MyCOE sites. All of the downloadable resources that we are using for this program are FREE! Hold up to 12-way video chats with other GCE participants all over the world using the ooVoo software available for download here. 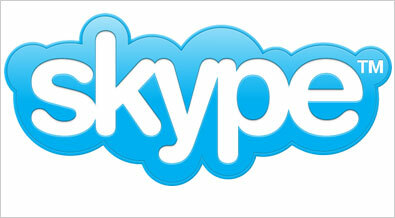 We are also using Skype, which you can download here. Sign-in to the AAG GCE Knowledge Community by first using the login box at the top right hand corner of this page you are on now, then after you log in, click here to participate in discussions and post ideas. Note: We recommend that you use Google Chrome or Firefox to view the communities. Connect with MyCOE Facebook Users through our group page where past, current, and future participants share conversations, photos, news, and more. Follow us on Twitter for the latest GCE related news @ MyCOE_AAG. Join the MyCOE listserve by sending an email to mycommunity@aaglistserve.org. Participate in teacher training webinars by downloading GoToWebinar here. See the many faces of MyCOE on our Picasa Web Albums. Estamos utilizando varios sitios de redes sociales como parte de este proyecto MyCOE GCE. A continuacion tenemos una lista para ustedes de estos recursos. Estos recursos son descargables y gratuitos. Haga clic aqui para descargar ooVoo-- un programa que usaremos para los intercambios entre salones. Tambien estamos utilizando Skype-- lo puede descargar aqui. Para ver nuestro grupo en Facebook por favor haga clic aqui. Haga clic aqui si quiere recibir mas correos acerca del programa MyCOE (ingles). Aqui puede hablar con otros maestros participando en el GCE. Recomendamos que use Google Chrome o Firefox para ver las comunidades. Un software para creer paginas en linea para el aprendizaje (ingles). Fotos en linea del programa MyCOE. Please report any abuses or concerns about inappropriate online behavior to mycoe@aag.org. Users of MyCOE webpages for the purpose of classroom exchanges, commentary, and sharing are encouraged to follow proper guidelines for digital citizenship.